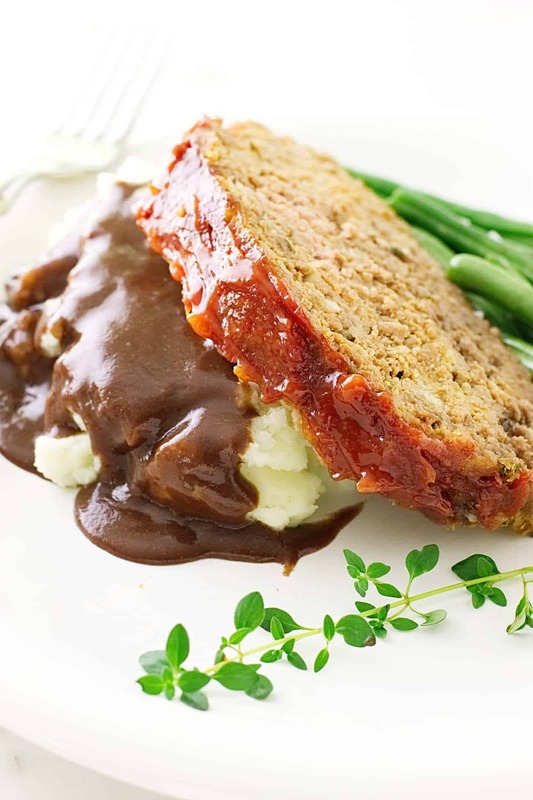 Do you love your mamma’s meatloaf recipe but want to go to the next level in flavor? There are several reasons why this is my favorite meatloaf recipe and that I have been using it so many years. 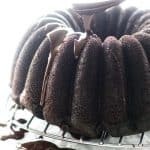 It is easy to make with only six ingredients and has an amazing flavor! This is a dinner-worthy meatloaf! 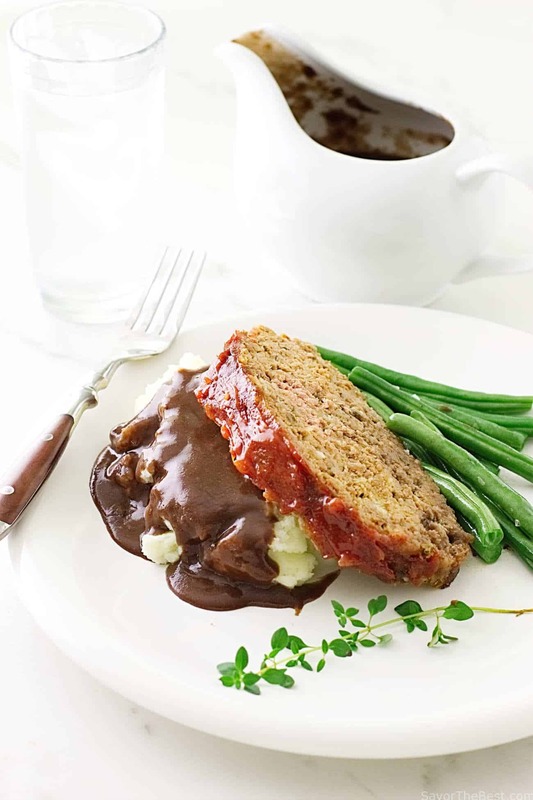 Meatloaf is one of life’s all-time comfort foods. 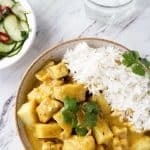 I have tried a few other recipes but have never found a recipe that I like better. 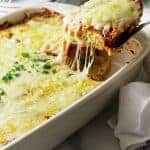 My favorite meatloaf recipe has a wonderful onion flavor but none of the time consuming chopping and sautéing of onions. The huge flavor boost is from the package of dry onion soup mix. Another classic flavor enhancer is ketchup! Some things just never change…. such as meatloaf with ketchup. They just seem to go together and you can’t have one without the other. 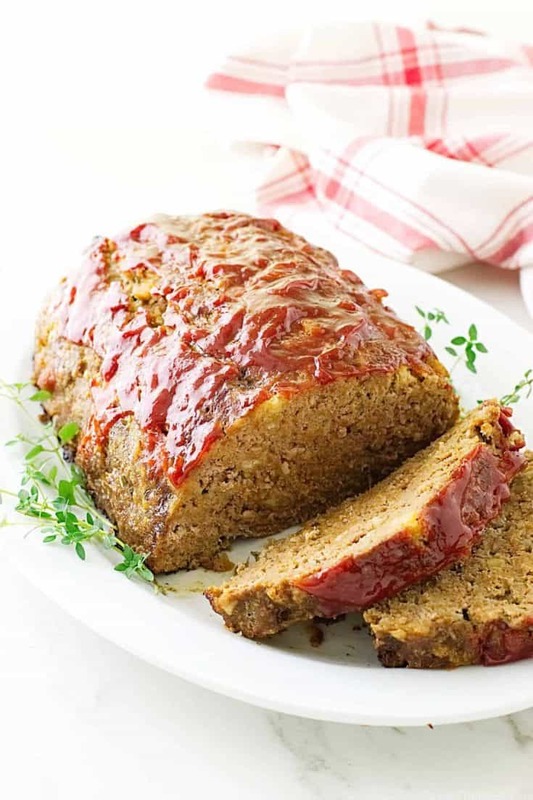 In this meatloaf recipe a thick layer of that Unami-packed, red tomatoey goodness is literally slathered over the top as it bakes. All-beef meatloaf that is easy to make with only six ingredients. The Beef: The 50-50 beef mix of lean, grass-fed ground beef and a fattier ground beef give this meatloaf more flavor than by using just all-lean ground beef. The Binder: Garlic seasoned salad croutons is my choice for the binder. The seasoning in those crisp croutons give an incredible flavor to the meatloaf. The croutons are smashed into crumbs and added to the meat mixture. 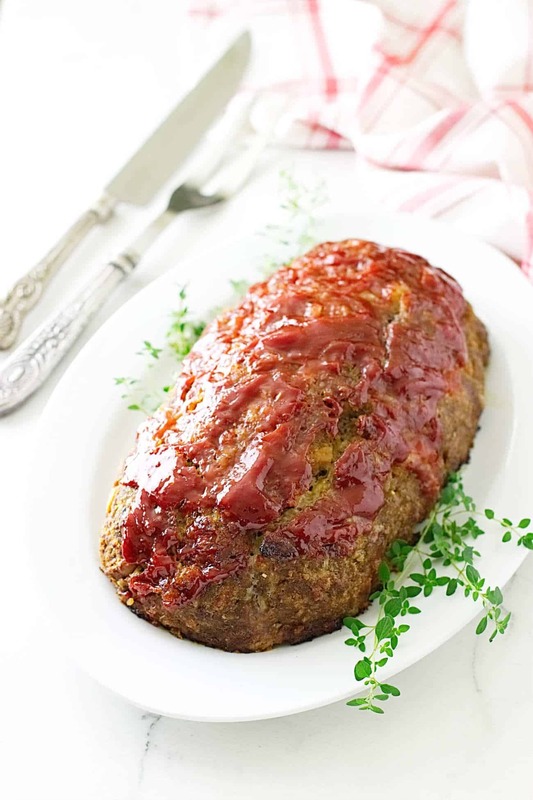 An easy six-ingredient meatloaf that is wickedly delicious! The beef is mixed together with the crushed croutons, dry onion soup mix, eggs and beef broth. It is all shaped into a large loaf with the ketchup slathered on top, then baked for an hour. This makes for a wickedly delicious meatloaf! A side dish of mashed potatoes is our favorite with meatloaf. As there wasn’t any dripping to make a sauce for our creamy, buttery mashed potatoes. 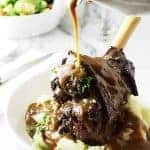 I made a Cabernet wine sauce by boiling beef broth, wine and seasoning, click here for instructions, and served it with the potatoes and meatloaf. I always make a nice large meatloaf because we all love the leftovers. Especially meatloaf sandwiches with lots of mayo. 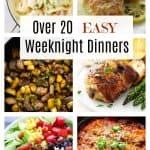 My favorite meatloaf recipe will make a large meatloaf that is economical and will serve a large family. 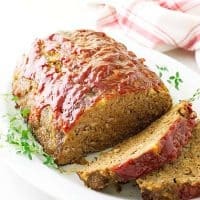 This is My Favorite Meatloaf Recipe, it is an all-beef meatloaf that is easy to make with only six ingredients and has an amazing flavor! Add the ground beef to a large shallow bowl and break up with a fork. 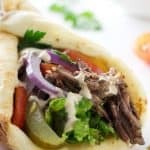 Place the croutons in a closable plastic bag, and crush the croutons with a rolling pin (*See Notes)and add to the bowl with the beef. Sprinkle contents of the dry onion soup mix. In a separate dish whisk the eggs together with the beef broth, 1/4 cup of the ketchup and pour over the meat mixture. Gently combine the mixture with a fork or your hands until evenly mixed. Do not over mix as it will make a dense meatloaf. Tip the mixture onto the prepared baking sheet and form into an oblong, loaf-size shape. 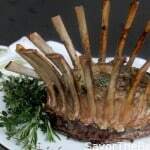 Transfer to the center of the oven and bake for 30 minutes. Remove from the oven and spoon the remaining 1/2 cup of ketchup over the top of the meatloaf and return to the oven. Continue to bake for another 25-30 minutes or until an instant-read thermometer reads 160°F. Transfer to a work space and allow to cool for 10-15 minutes before serving. The croutons can also be crushed by pulsing in a food processor. Adding the ketchup for the last half of the cooking time will prevent the top from over cooking. To keep your meatloaf from cracking on top place a pan of water on the rack underneath your meatloaf. What a great idea using the croutons!! I bet this tastes amazing!! Looks like perfect comfort food; and you’ve managed to make it look very neat, which is difficult with meatloaf! Hi, Hannah….Thank you for that nice comment! 🙂 I didn’t realize how difficult meatloaf was to photo, that was my 3rd set-up. This is one of the prettiest meatloafs I’ve ever seen! The hubs would love this. Love the sound of those sourdough english muffin crumbs! I’ll bet it takes it to a whole new level!